Cool2Craft TV for September 19, 2011: Pumpkins! 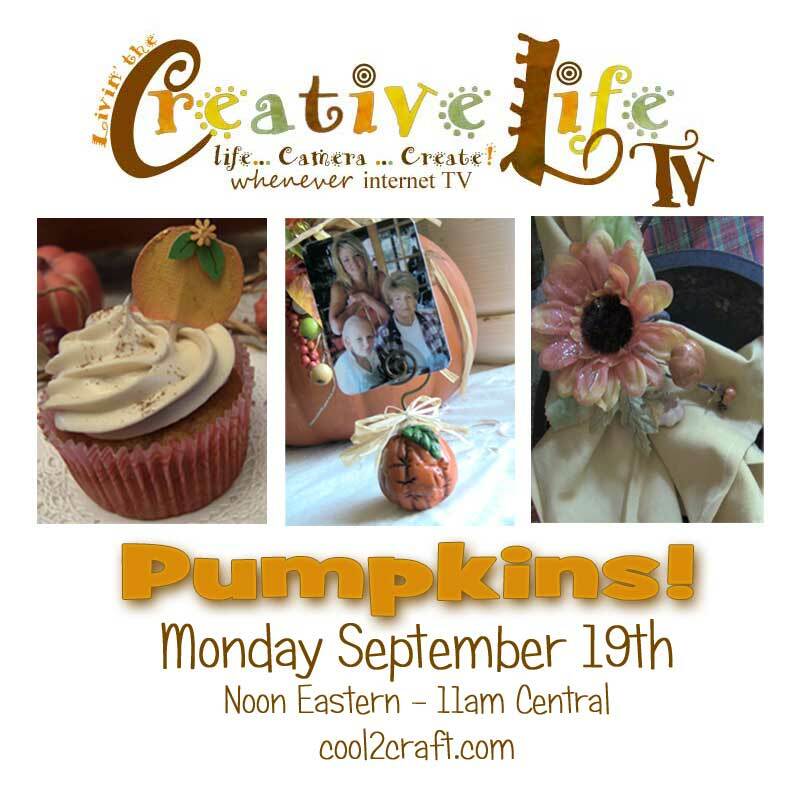 Join host Linda Peterson for a new episode of Livin' the Creative Life TV on the Cool2Craft Channel. This week's show theme is pumpkins. Linda shares three quick and easy projects for your fall crafting including Pumpkin Napkin Rings, Pumpkin Photo Holder an Pumpkin Cupcake Topper featuring Aleene's Tacky Double-Stick Sheets. It's terrifically tacky and creatively cool! It’s easy to watch the Cool2Craft TV Channel right from your computer. Airing Monday September 19, 2011 9am Pacific/10am Mountain/ 11 am Central/ Noon Eastern. Go to http://cool2craft.com and find the Livestream player and chat box. See you Monday!